Impact Products 19 inch Red Spray Buffing Pad - 19" Diameter x 19" Diameter - Fiber - Red The Red Spray Buffing pad is for dry buffing, spray buffing, or light-duty scrubbing. These floor pads are for use with machine speeds of 175-350 RPM. Open web design allows dirt to enter the fiber for maximum use. Resiliency allows pad to remain flexible to reach depressions. Heavier denier fibers for longer lasting pads. 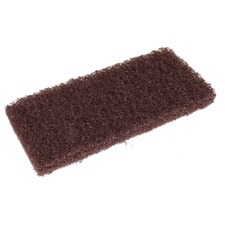 High Productivity Pad 7300 quickly and thoroughly removes old floor finish, dirt and buildup. Unique, open web construction allows stripping solution to flow through pad to rinse out dirt and reduce loading for increased pad-to-floor contact and efficient stripping. 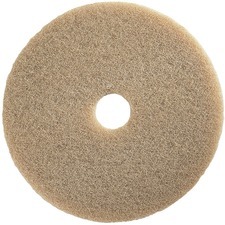 Uniform distribution of mineral abrasives throughout pad - not just on the surface - offers impressive performance and a long, useful life. Individually separated and coated fibers help produce more consistent results. Use with rotary or automatic machine speeds of 175 to 600 RPM. 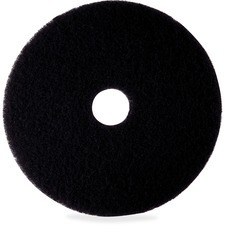 Impact Products 17 Inch 40 Red Spray Polishing Pad - 17" Diameter x 17" Diameter - Fiber - Red The 40 Red Spray Polishing pad is the softest pad which can be used on finishes with minimal dry time on the floor. 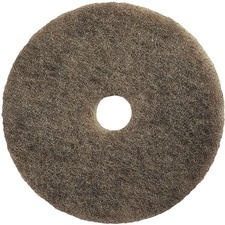 These flo or pads are for use with machine speeds of 175-350 RPM. 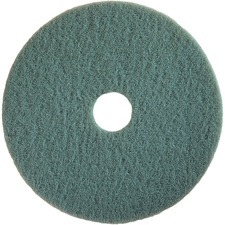 Impact Products 27" Earth Aqua Burnishing Pad - 27" Diameter x 27" Diameter - Fiber - Aqua From the earth to your floor, our plant based Bio-preferred floor pads deliver best in class performance while leveraging renewable resources that protect your investment and our planet. 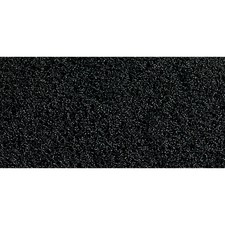 Impact Products Rectangular 14x20 Black Stripping Pad - Fiber - Black The rectangular black stripping pad is our long-lasting, heavy-duty, standard stripping pad. These floor pads are for use with orbital floor machines. 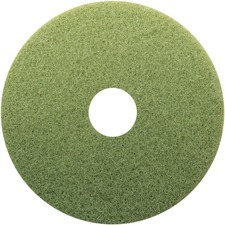 Impact Products 20" Earth Green Scrubbing Pad - 20" Diameter x 20" Diameter - Fiber - Green From the earth to your floor, our plant based Bio-preferred floor pads deliver best in class performance while leveragin renewable resources that protect your investment and our planet.